By now you’ve probably heard of a JTBC drama that’s called “SKY Castle.” You’re probably also checking this article because you wanna know if its worth your time. The reason you’ve probably heard about this drama is because of its ratings. Its now officially the highest rated cable drama in Korean broadcasting history. It took over “Goblin” record which they held with 18% (I believe). “SKY Castle” broke this record with 23.77% in average viewership ratings with its last episode (episode 20). The series was such a huge hit; it was extended for four episodes. It became a national phenomenon that Korea couldn’t stop talking about. In the international community, this kdrama wasn’t the focus of attention which is probably due to the fact that it has no handsome oppa/unnie and it’s not a rom-com drama. Today I shall discuss the drama and go through its elements (without getting into spoilers) to help you figure out if its worth your time. The biggest reason for this drama huge success is the story. The story is freaking amazing, the idea behind it is genius and daring. The writer behind this drama is Yoo Hyun Mi. I have become a fan of her because of her work on this drama. The basic story behind this drama is the four different families; those families are all filthy rich. The families try their best to help their kids become doctors following in the footsteps of their fathers and grandfathers by hiring teachers/coaches to help with their college entrance exams. The drama is a satirical, black comedy. Right off the bat, if you’re not comfortable around black comedy dramas, this drama will probably offend you or get on your nerves, you’ve been warned. The genius behind this drama is the consistency of the story, in my opinion, that’s one of the contributors to its success. Writer Yoo Hyun Mi knew how to play the script with the elements to create a drama that’s so powerful and impactful. The drama discusses taboo subjects in Korean society. It talks about depression, suicide, murder, obsessive parents who want to live their dreams through their kids, society pressure, and many other things. It’s a heavy drama at times. This wonderful story remained interesting because it does not focus on one person or two; it focuses on four different families and their children as well as their surroundings. This means a lot takes place each episode if you miss one episode it can become difficult to catch up because so many things happen to so many people during that one-hour long broadcast. Fear not, this drama isn’t messy; it’s laid out beautifully and not confusing at all. It’s very easy to follow along because the writer and the production team make sure you got the chance to understand and know the names of each family member without overwhelming you with details. Writer Yoo Hyun Mi is someone who doesn’t mind being risky and you don’t know how much I appreciate her for doing so. Let me explain. The drama has bad characters as the main characters; this in itself is a huge risk that can backfire badly. When you craft main characters that are terrible people you risk losing your audience, they might lose interest in your drama, no one wants to root for the bad guy. This is why dramas and movies, in general, are mindful of that. The main character is usually the righteous one that saves the day; it’s a different case with “SKY Castle” which makes it even more special. Despite the fact that almost all of the main female and male characters are very difficult people who aren’t easy to like, you still can’t help but watch the drama. That’s an accomplishment in itself. 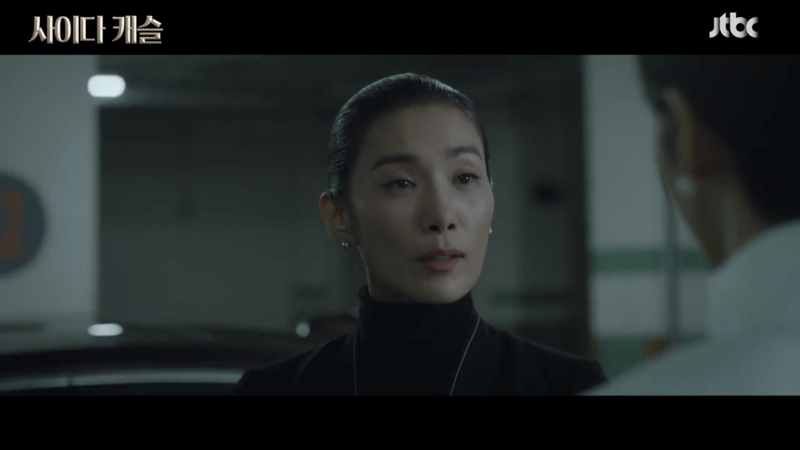 Particularly actress Yum Jung Ah’s character, she’s on a different level of spiteful, mean, selfish and disrespectful. She is very difficult and you will hate her, I personally can’t stand her face, there were many times I just wished I could go to Korea to slap some sense into her (the character not the actress). Despite that, the audience still understood why she did what she did, they didn’t support it but they understood why she did it and that also makes the script brilliant. 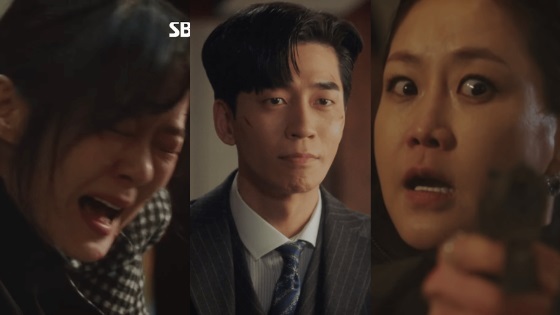 “SKY Castle” started out with 1.7% in ratings and grew in popularity mainly because of its plot through the word of mouth. In a world filled with cliché stereotypical overused plots “SKY Castle” stands out as a story that’s not afraid of telling it like it is. There is comedy at times but when it’s serious you find yourself sweating. This drama will make you laugh and cry. This drama could have gone downhill at any given moment but it didn’t happen. My reasoning for this is that Writer Yoo Hyun Mi had a basic idea of how she wanted the drama to end; she had the plot major details outlined ahead of the drama premiere. Usually, kdramas are written as they’re produced. This gives the writer, the actors and the production team the feedback they need to adjust accordingly. The reason why certain kdramas lose their charm /their sense mid-ways is because the writer has to write as the drama proceeds and sometimes they’re forced or inclined to make decisions that influence the plot. In most cases, actors have no idea how the drama they just signed up for ends. This is why suddenly you see that certain characters make stupid or illogical decisions, this is also why sometimes your interest in a certain kdramas falls towards the second half of its run. “SKY Castle;” in my opinion; wouldn’t have been made possible if it was written as it was being produced and filmed. There is just too much work, the writer could have easily drifted apart or made mistakes but she stayed focused and consistent which is why the drama was such a huge success, the quality of the story was almost consistent in each episode. This takes us back to what I said two paragraphs earlier, I believe she knew what she wanted to do and how she wanted the script to go, of course she wrote the latter parts as the drama was shooting but I think she knew what she wanted and never lost sight of that. We can sit here and talk for days about this drama actors and actresses performance and chemistry. Basically, almost everybody gives an outstanding performance; they make the characters their own. The actors who played minor roles opposite your favorite oppa/unnie take center stage in this drama and it was beautiful to witness. Many kdrama fans were reluctant to watch this because the cast isn’t familiar or interesting enough, it doesn’t have a hallyu star, the main characters are all veteran actors. 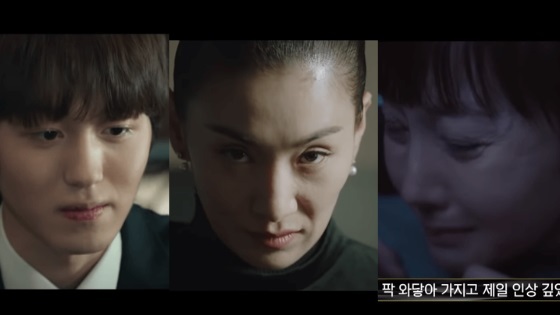 Actress Yum Jung Ah and Kim Seo Hyung were showered with praise for their performance, they both play twisted female characters but the public fell in love with their acting, they’re amazing and true professionals. All the mommies and daddies of this drama did exceptionally well, I loved everyone’s performance. On the other hand, some Kdrama fans had issues with actor Kang Chan Hee and actress Kim Hye Yoon acting. 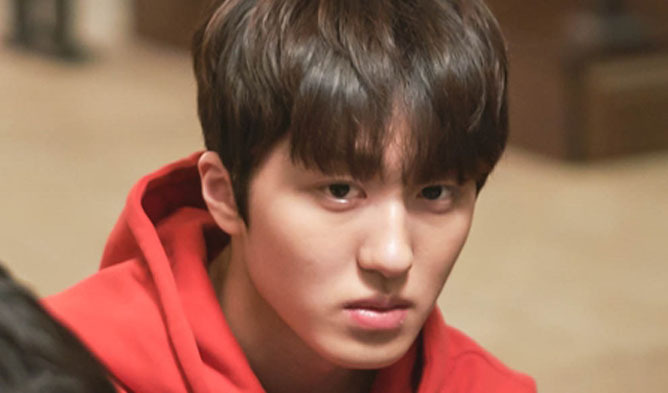 I personally found Chan Hee’s acting to be specifically weak, he was the weakest link of this entire cast which is kinda weird when you find out he’s been acting ever since he was a child. He still has a long way to go, but fear not, he has few scenes in the drama but towards the end of it when the focus shifts towards him you can notice the cracks in his acting. He wasn’t especially bad but not good either. Some attributed his bad acting to the way his character was written but I believe he couldn’t have pulled it off if it was more complex. What made it especially obvious were the parent-actors outstanding performances, when you have extremely good actors with average actors, the average ones seem more incompetent than they actually are. For Kim Hye Yoon, I actually didn’t mind her acting at all. She plays a very despicable character; I thought she did well in it. She wasn’t outstanding but good enough. The rest of the actors who play children were good, not great but good enough aside from Kim Bo Ra, that actress was outstanding. 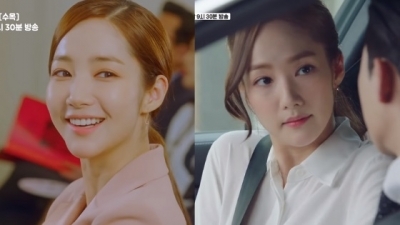 She also received immense praise for her acting, she honestly freaked me out and I was scared of her, I am rarely scared by a female kdrama character, she plays someone you never wanna meet in real life. My point is, expect mediocre acting from some of the kids in this drama but its not bad enough for you to flip at your screen in anger, the drama focuses heavily on the adult actors most of the time. Another thing I need to mention is how relatable the characters are. The fact that Koreans could relate to those kids and those parents struggling against society’s implausible restrictive standards is what made it all that more endearing. The writer makes you care; she makes you fall in love with the children in this drama and worry about them. They’re all suffering and they all matter. Chemistry between the moms and dads is great, since we’re dealing with extremely talented actors this is only given. The parents who have good relationships show it, those who share awkward or unpleasant relationships also portray it well. It didn’t feel awkward between the actors unless it was what’s written in the script. In many kdramas, I complain about the chemistry because I find many actors hella awkward on-screen around each other, some share terrible chemistry even when their characters are supposedly in love or have known each other for so long. Luckily for us, this doesn’t happen in this drama. I wanted to highlight the OST as well because its darn amazing. There is one particular song called “We all Lie” its sung in English and whenever it plays you know sh*t is about to go down. The rest of the OST is befitting of the drama. Should I Watch This Drama? This drama can be enjoyed by people of all tastes mainly because of its gripping script. I would highly recommend you watch this drama; it’s an eye-opener and a drama that initiates conversations around difficult issues that plague our society. If there is one case where I wouldn’t recommend it, it would be if you aren’t a fan of satirical, black-comedy dramas, if you’re not a fan then you might want to skip it. I would still recommend you check it out anyways and see if you can handle it, some people prefer simple rom-coms, and understandably so. “SKY Castle” isn’t a kdrama that I’d give 10/10 but it’s a close 9.5. It has a great script, my only issue with it was the last episode but I can’t talk about the reasons why because it’s a spoiler, in case you watched it and wanted to know why I thought that way, here is the link. The second reason its not a perfect 10 is because of the child/young actors acting, it wasn’t the best, specifically Chan Hee. However, this remains one of the best-written kdramas in recent years (by miles). It reminds me of the amazing “My Ahjussi” which also talks about the same subjects but it focuses on the dirty poor of Korean society. 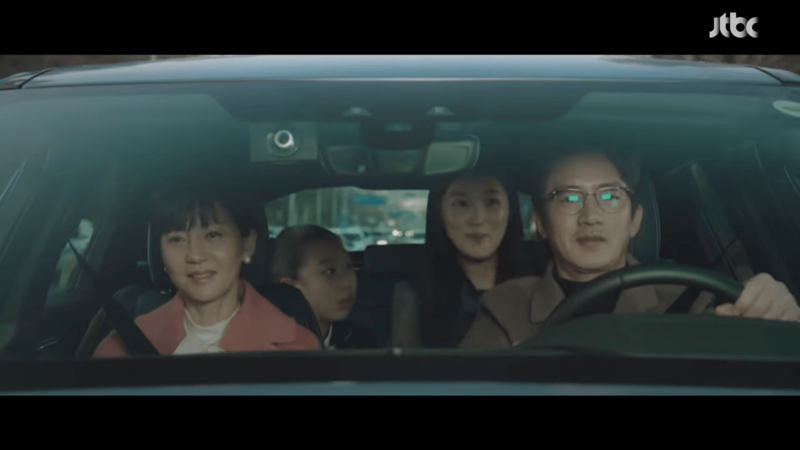 “My Ahjussi” was bleak, a lot darker and less funny compared to “SKY Castle,” that drama is a perfect 10 (in my opinion) all around if you want to check its spoiler-free review here is the link. Watch this drama and let me know what you guys think!